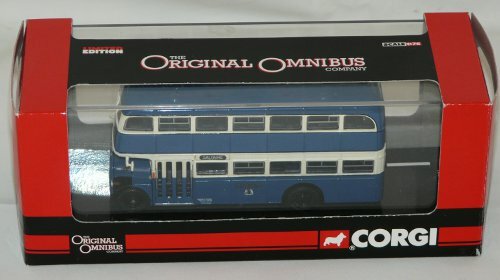 A diecast boxed limited edition CORGI Original Omnibus model double deck bus in its original box. 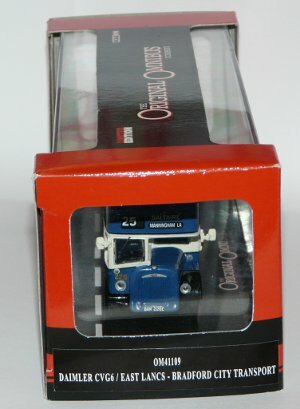 This is Corgi model OM41109 and is a limited edition of 2500 - this is number 156, with it's original certificate. 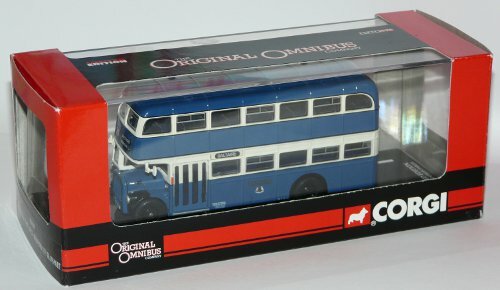 It is a 1:76 OO gauge scale model blue double deck bus. It is a Daimler CVG6 model bus, route 25 SALTAIRE MANNINGHAM LANE and has registration plate EAK 226D. Condition: As new and boxed in excellent overall condition.